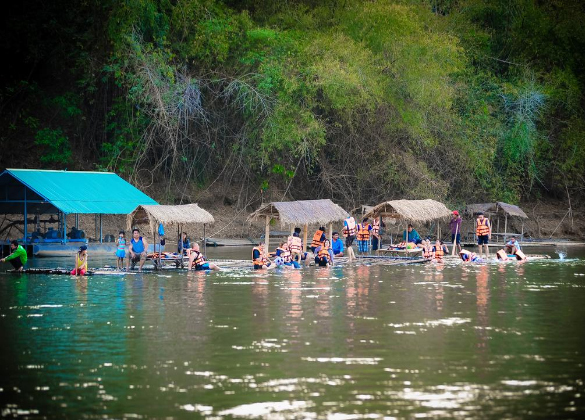 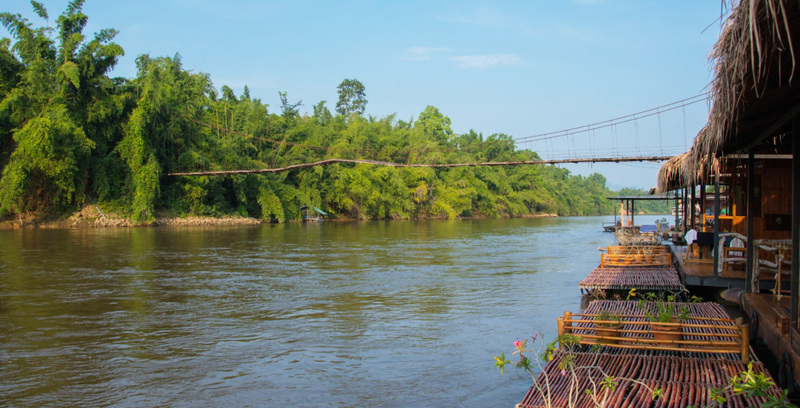 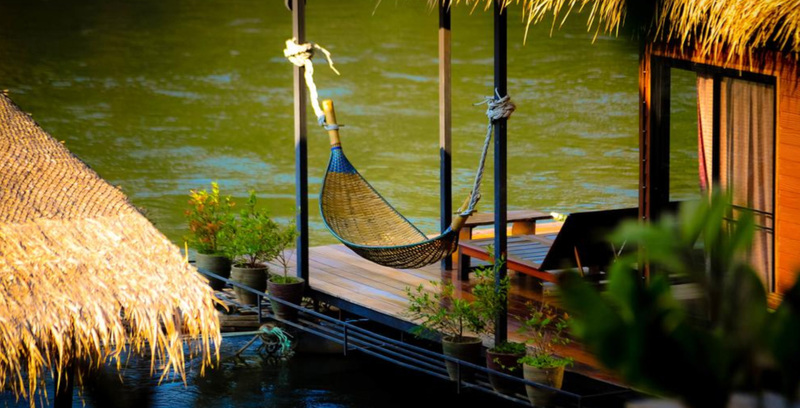 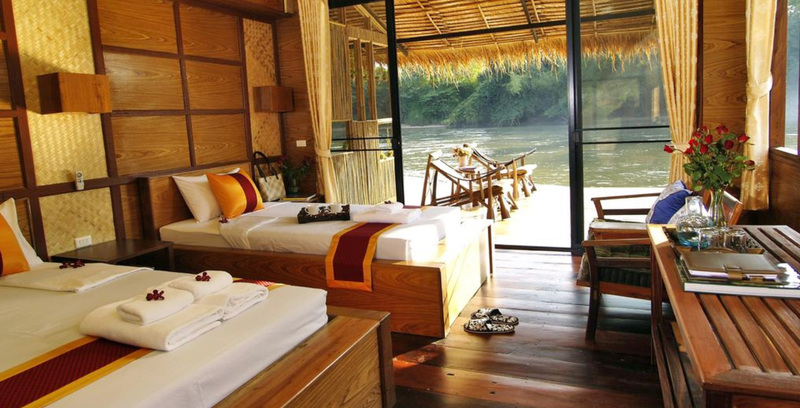 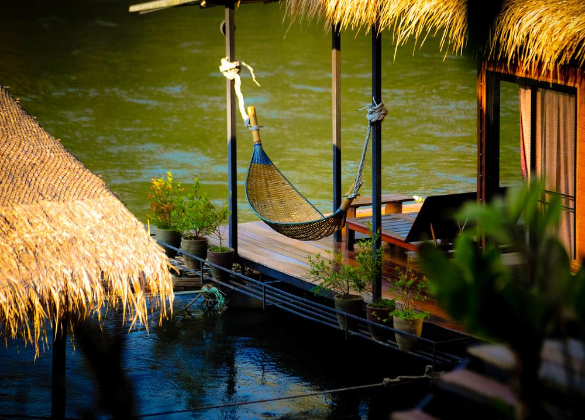 Boutique Raft Resort locates along the River Kwai, the well-known river during World War II, a unique floating raft as comfortable accommodation for travelers who love nature and tranquility. 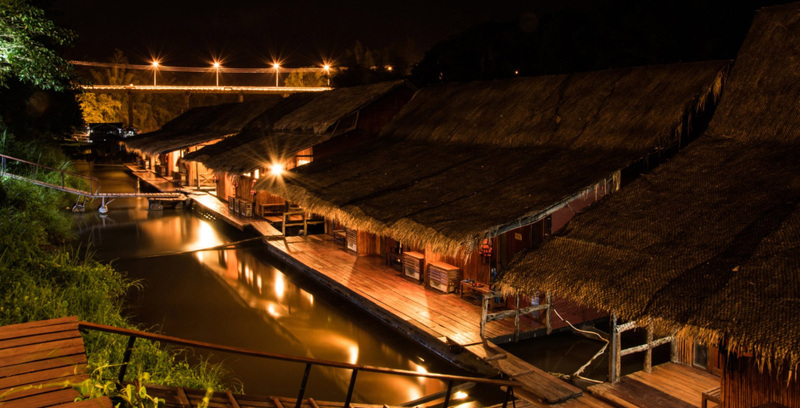 Resort provides the perfect mixture of full furnished room in the river and surrounding greenery of mountain, traveler can visit various nearby historical and nature attractions i.e. 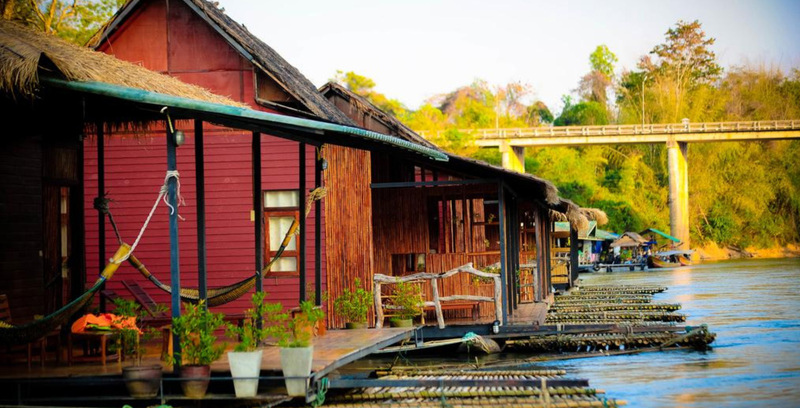 museum, hellfire pass, waterfalls, cave, hotspring, etc. 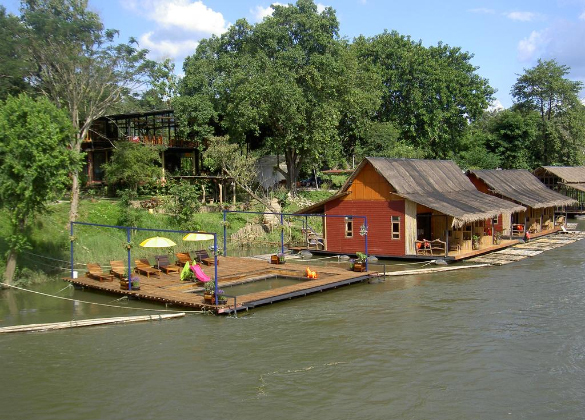 Resort is designed uniquely to harmonious properties with surrounding forest, accommodation is made by hard wood, decorating with locally made furniture. 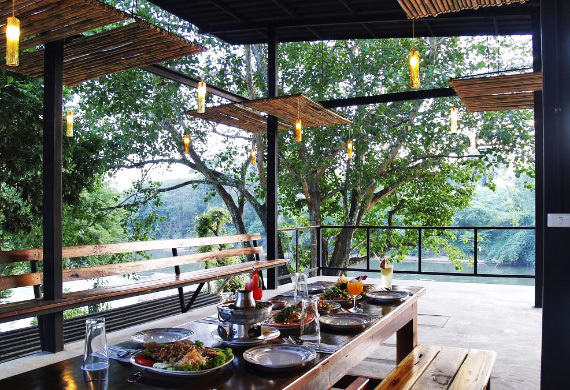 Total of 25 rooms equipped with air-conditioned & ceiling fan, sofa, wardrobe, mini-bar, hot water, and balcony, this ensures all nature lovers to impress with this boutique style.